← MADRAVENSPEAK: Why Does John Muir Audubon Society Have a Bird-Killing Activist on Its Board of Directors? Bayfield, WI (NNCNOW.com) — The Red Cliff Band of Lake Superior Chippewa has developed its Wolf Protection Plan. The tribe cites that a federal judge ordered the gray wolf back on the Endangered Species List in December 2014; the order followed years of controversy over a state sanctioned hunting season. Following the judge’s order, the Red Cliff Treaty Natural Resources Division began working on a protection plan that aims to preserve wolves on and near the reservation. -Working cooperatively with U.S. Department of Agriculture Animal and Plant Health Inspection Service to safely mitigate any human-wolf conflict issues. 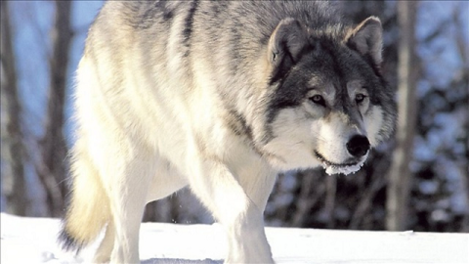 In three seasons, hunters killed more than 1,500 wolves in the Great Lakes region, according to the tribe. The tribe opposes the hunt for spiritual reasons. They also do not believe the wolf population is fully recovered. 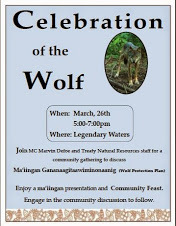 A Celebration of the Wolf event is planned for March 26 at the Legendary Waters Convention Center. Click here to subscribe to the Northland News Center daily newsletter.